The ACCC has approved Australia Post's proposal to increase the base letter rate from 70c to $1 from 4 January 2016. In addition Australia Post will introduce a two speed service, with Priority letters taking 1 to 4 business days to deliver, and Regular letters taking up to an extra 2 days. Concession card holders will still be able to post mail at 60c, and Christmas cards will still cost 65c. To ensure an item is sent Priority a label must be added next to the stamp. The Data Matrix code on the label will be read by the mail sorting machinery, and hence the letter will be given priority. The Priority label must be attached to the letter to ensure Priority delivery. 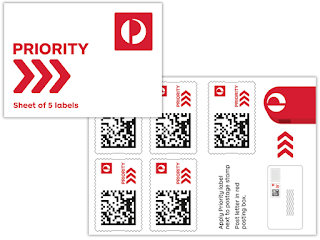 Priority stickers can be attached stamped letters (including those posted at the Concession and Christmas rates) and prepaid envelopes. The Priority service is on available for letters; parcels have their own separate delivery schedule, and are pointless on Express Post items which delivered the next business day (within the Express Post network). 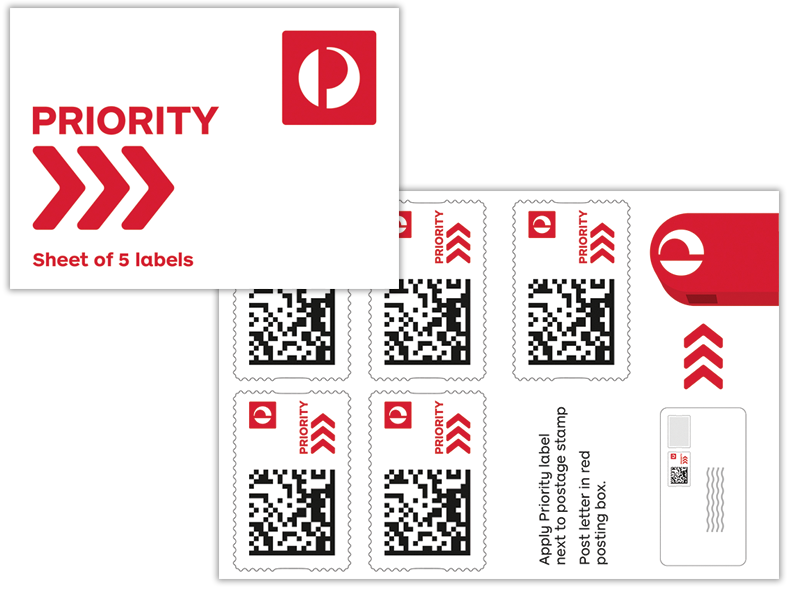 Priority labels are now available for purchase via the Australia Post online shop (under Pack and Post > Postage Stamps).